Visibly Smoother, fresher and hydrated Skin. 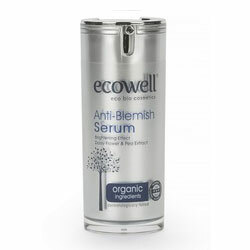 Decreases marks, spots and blemishes caused by environmental pollution and acne giving your skin a flawless appearance. Boost skin’s natural glow.It is also suitable for use on arms and shoulders helping prevent and remove blemishes and imperfections. Daisy flower brightens skin and prevents hyperpigmentation; it has been shown to inhibit the production of tyrosine (an amino acid necessary for the formation of melanin – the skin’s own natural color) in the skin by as much as 50 percent, while preventing further hyperpigmentation. Daisy Flower Extract is very effective and safe for even the most sensitive skin types.Daisy Flower Extract contains organic acids which contain lightening and exfoliating properties. Pea extract fights the enzymes that break down collagen and elastin. Its restorative effects also help defend collagen and elastin against UV, chemical, and immunological threats leaving skin firmer and with increased elasticity. 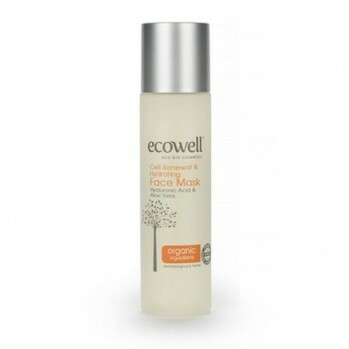 Studies have found that pea extract improved skin elasticity by 16.7% in just three weeks. How to use : Apply once in the morning and once in the evening on clean skin. Gently massage for quick absorption. 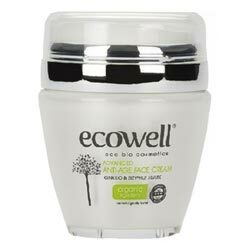 Ingredients: Aqua, Cetearyl Alcohol, Coco-Caprylate/Caprate, Dicaprylyl Carbonate, Glycerin, Cocoglycerides, Tocopherol, Phenethyl Alcohol, **Argania​ ​Spinosa Kernel Oil, Disodium ​Cetearyl​ ​Sulfosuccinate, Hyluronic acid, Xanthan Gum, Sodium Benzoate, Potassium Sorbate, **Cananga​ ​Odorata Flower Oil, Ethylhexylglycerin.